This beautiful photo is from the early 1930s. 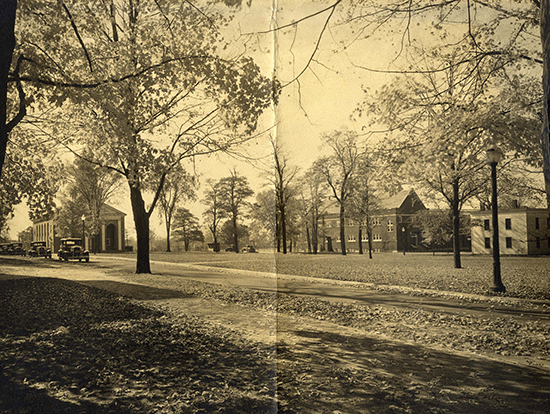 This is clear because of what is not there – Goodrich Hall which was dedicated in 1938. We can also see that Forest Hall [to the right of the picture] is where the Sparks Center is now. I love the old cars and the warm, sunny feel of this picture and I hope you do too!